View of “Mike Kelley,” 2012–13. Photo: Gert Jan Van Rooij. THE ARTIST IS A FICTION, and Mike Kelley famously prioritized that fiction, allowing his production’s motifs to follow suit. 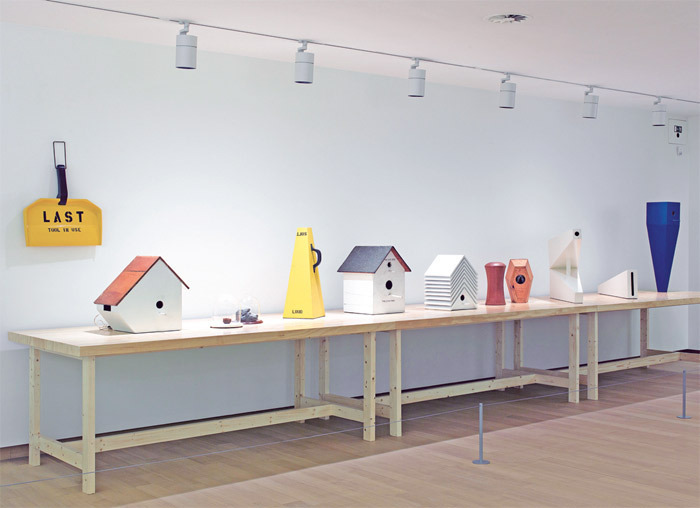 For example, his early “birdhouses” (sculptures from his CalArts days, back in 1978 and 1979) “were made specifically to comment on my class status and on clichés of maleness,” he reflected in a 2011 interview published in the catalogue to his posthumous retrospective at the Stedelijk Museum. “Building a birdhouse would be a typical masculine pastime in the suburb in which I grew up.” Years later, by contrast, he played at making “feminine art,” famously exhibiting old, abject stuffed toys, the kind you’d find at a yard sale. In adopting ostensibly male or female techniques or forms, Kelley said, “the point was to reveal gender as a construct, not to reinforce traditional gender roles,” and to use these constructs as mechanisms of production.